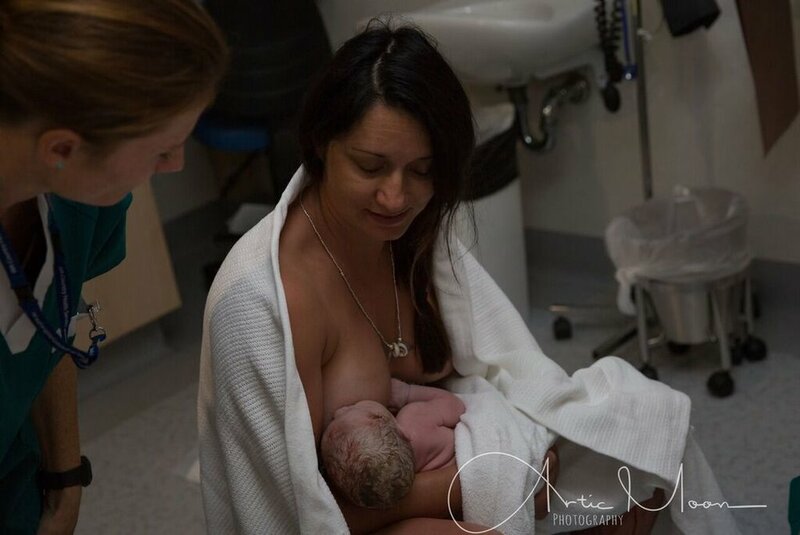 In this week’s episode Melissa Ayling from Hypnobirthing Geraldton shares with us the beautiful and remarkable birth of her son Lockie who was born on the way to hospital in her car. Melissa drew on her training as a hypnobirthing practitioner to trust in her body’s ability to birth her baby unassisted with her husband receiving her little boy on the side of the road. This story is not to be missed. Melissa chose to deliver her placenta physiologically, that is without the use of the drug syntocinon. Commonly the third stage of labour is ‘actively managed’ in Australian hospitals in the management of the third stage of labour (placenta delivery). Melissa discusses her first trimester morning sickness and how she under went an iron transfusion part the way through her pregnancy which she found to be very helpful. She also shares how she decided not to test fro group B strep 5 weeks prior to her due date. Melissa’s birth photographer was Natasha from Arctic Moon Photography.